Sulphate-free beard wash with the right ingredients to deep cleanse your beard and keep it germ and grit free. 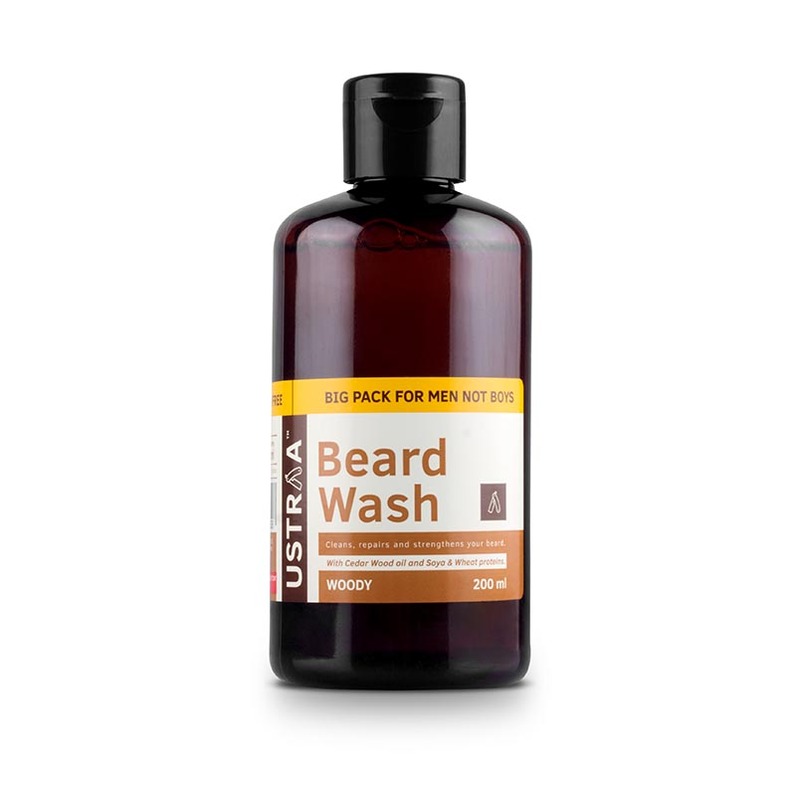 Ustraa Beard Wash now in 200 ml pack. So now you have enough to take care of that big-badass-beard of yours. Our essential oil based beard wash is a sulphate-free shampoo designed especially for facial hair cleaning. We know how much you love your beard and we assure you that the beard wash we have created will do justice to it. Rich in Soy Proteins, Wheat Protiens and Amino Acids, this beard shampoo is made keeping in mind that facial hair is different from head hair. This beard wash will keep your hair and the skin underneath clean and hygenic. This shampoo is paraben & sulphate free. 1. Take desired quantity on palm. 2. Lather thoroughly during shower / face wash as prefered. 3. Finish off by applying oil on skin and hair. 4. This product needs time and should be left on the skin and hair, either for the night or the day.